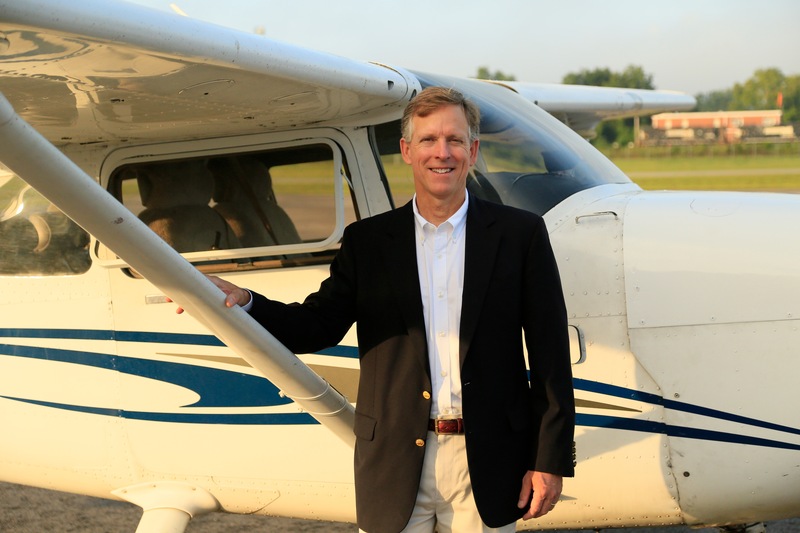 “You’ll do fine, and have a nice flight.” With those reassuring words from my instructor ringing in my ears, I climbed into the little Cessna 150 and closed the door. The overwhelming fact that I had to fly and land this plane by myself before I could walk on the earth again confronted me like the hot summer air. Holder Watson had only given me a few hours of instruction when he decided it was time for my first solo flight. The few take offs and landings we had done together did not seem nearly enough. Since he always had his hand on the yoke, I wasn’t really sure how much of the flying and landing had been under my control and how much had been under his. Taking off and flying the pattern was easy, but the thought of landing without Mr. Watson’s steady hand on the controls made me more than a little uneasy. As I taxied to the end of the runway, I thought about Mr. Watson and his long career in aviation. Mr. Watson was in his late 70s when he took me on as a student, having begun to fly when he was a kid in the early days of aviation. One of his favorite tricks back then was to fly up several thousand feet and throw a roll of toilet tissue out of the plane. As the roll fell, unwinding a long trail of tissue, Mr. Watson would dive down after it and cut the tissue with his prop. Back and forth he would go making pass after pass until the roll was gone or, nearing the ground, he would pull up. During the early days of WWII, he flew the Hump –– Himalaya Mountains –– without navigation equipment and through perilous weather bringing needed supplies to the Chinese. He also became an instructor at this time and never stopped teaching people to fly for the rest of his life. With a man like him conveying his confidence in me, I knew I could do it. Several months later, after obtaining my pilot’s license, I began flying into Owens Field Airport where I met another great airman, Jim Hamilton. This was 27 years ago when Emily and I hadn’t yet moved to Columbia, but the initial stages of starting Columbia Metropolitan were underway. I would fly up from Waynesboro, Georgia early in the morning using Mr. Watson’s plane, and Jim would greet me in Columbia. He would loan me a car for the day, and in the afternoon, I would fly back to Georgia. Jim was keenly interested in our project to start a city magazine and was a great encouragement. Sometimes just the right people come into your life to teach you something new, to instil confidence or just give you that added encouragement that solidifies the truth that you can do it –-– whatever it may be. My time reflecting on my years in the pilot seat of a Cessna was prompted by the fascinating article that Melissa Andrews wrote on page 84. I hope you enjoy the aviation feature, as well as the rest of the September issue.